Working closely with Chartered Landscape Architect, Matt Jarvis CMLI, we were commissioned to produce verified photomontages with both winter and summertime photography and visualisations. 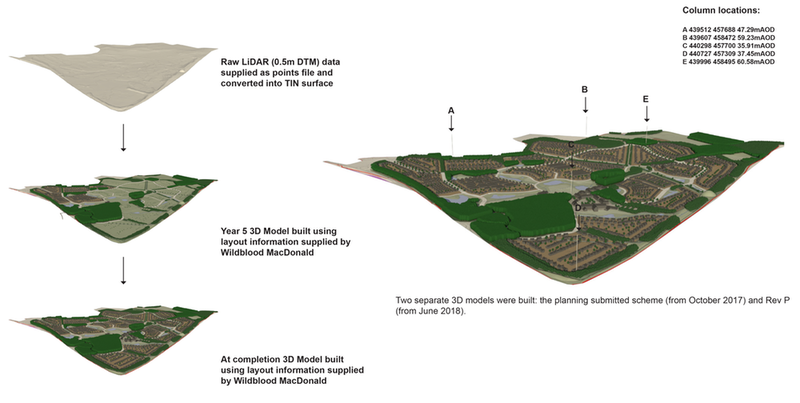 Over 20 different house types were built in the 3D model, which included a comprehensive landscaping scheme. The project was subject to a Public Inquiry in which the robust accuracy of our work was acknowledged. Working closely with Chartered Landscape Architects and Urban Designers, Alex Robinson CMLI and Chris Dykes CMLI, we were commissioned to produce verified photomontages illustrating 3 stages of landscaping: Year 1, Year 5 and Year 10-15.